Borderlands 2 Review - Is Better Than The Original? 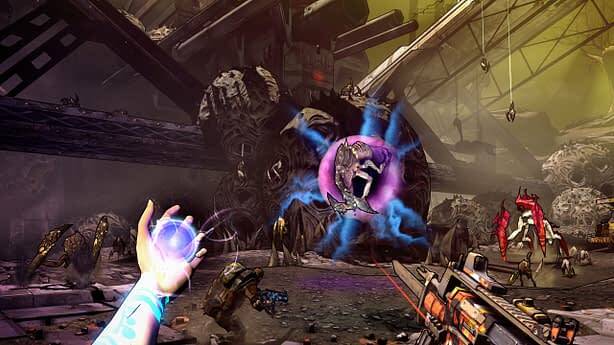 Borderlands 2 is the stunning and addictive cell shaded RPG sequel to the original Borderlands. 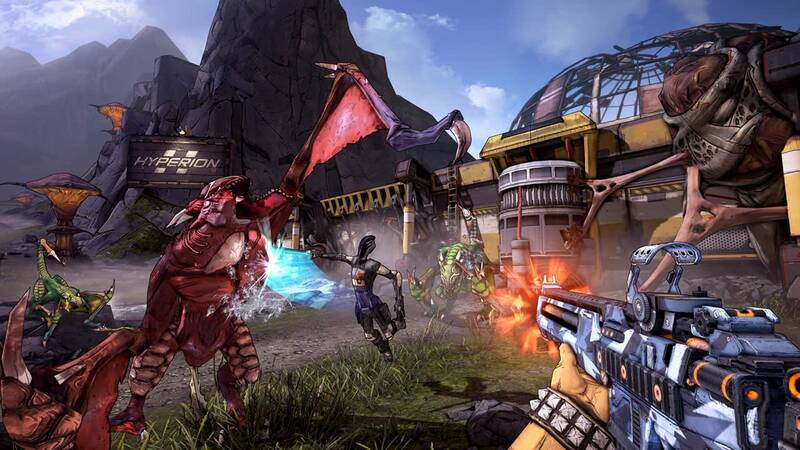 2K Games & GearBox have teamed up yet again to release Borderlands 2 the sequel to their original cell-shaded hit Borderlands. This time around they made some noticeable improvements where the original suffered and players who are familiar with the first game will be satisfied. The game is solely a campaign based RPG with the multiplayer support only allowing cooperative play (up to four players). 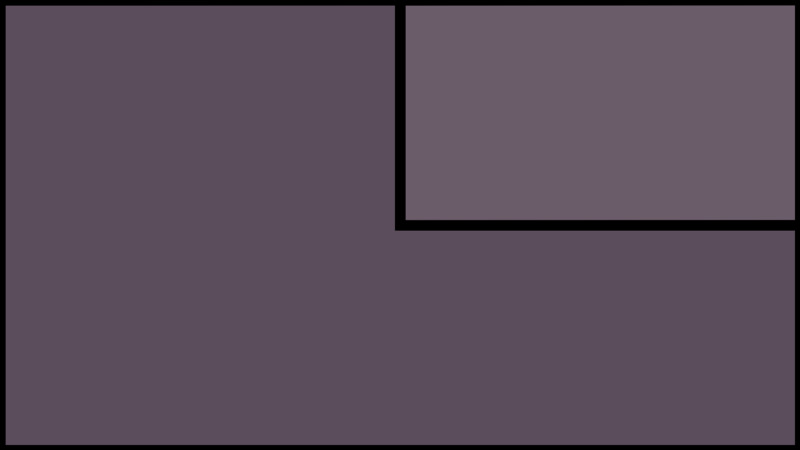 Similarly to the original the graphics are cell-shaded meaning they are more “cartoonish” then realistic. Having said that, the graphics are still crisp and noticeably better than the original. The variety of colors and textures used within the environments & character models are impressive and give the game an extra feeling of “coolness” while playing. During the campaign you'll play in all types of settings including snow, desert, and grasslands so it does not always feel as though you are playing in the same area as each hour passes. The audio tracks, voiceovers, and sound effects are some of the most compelling we have experienced from this genre of RPG. The gameplay in Borderlands 2 mimics the first one meaning that it is a guns blazing loot fest. Searching and finding rare guns, shields, and upgrades is really rewarding and pushes you to search to the ends of each map in order to get the best gear. The rare items are randomly generated like in Diablo 3 so you may find a super rare sniper rifle in the same chest someone else found a weak pistol. This makes looting unpredictable and exciting time after time. As for the controls, we had some issues adjusting to the look sensitivity in the beginning. It just felt unnatural and even through the menu options we couldn't seem to find a sensitivity that mimicked what we were used to in Call of Duty. After about 30 minutes or so we got the hang of it and things like sniping were a breeze. We also did not like the repetitiveness the game involved. It seemed like your end goal was always to kill someone or retrieve an item with no real change in your mission objectives. It is enjoyable the first 5 or so times, but as the storyline progresses we'd like to see some variety to spice things up. Another way it displayed repetitiveness involved the respawning of items and enemies in an area you have previously cleared. For example if you clear out a bandit hideout on the outskirts of town and were to visit the same hideout later in the game, chances are it will be reinstated with the same bandits and loot that you have already taken advantage of. Sure it means more XP, money, and loot for us in the long run, but it really isn't all that exciting when you have already taken the time to clear the place once already. The first Borderlands storyline was fairly dull and boring, but this time around GearBox improved it vastly while still continuing the plot where it left off in the original. This main storyline gives you the choice of four new vault hunters who have to fight to take back their planet's control from the Hyperion Corporation and their fearless leader Handsome Jack. The storyline's outcome is a bit cliche and predictable at times, but it is written in a way that is humorous and intriguing. You will encounter old characters from the previous game as well as plenty of new and interesting ones. The cinematics are great in this game with some very comical writing behind their scripts which really push the limits when compared to a traditional sense of competing single player campaigns. For those of you who like to skip the cinematics and get right to the gameplay this is disappointingly not an option. 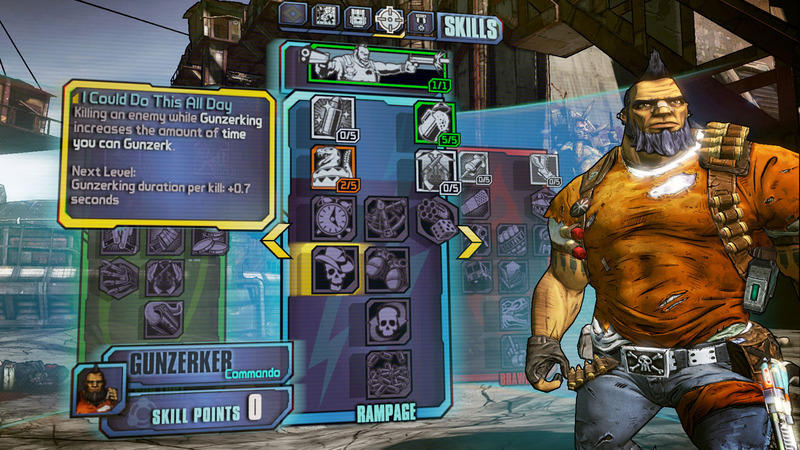 GearBox also completely revamped the character customization and skill tree features in Borderlands 2. Now which character you choose has unique abilities and skills to hone as the game progresses. Being able to utilize your skill tree optimally is a huge element, but you can use in game currency to reset your skill trees mid campaign promoting trial and tinkering within your vault hunter's abilities. Adding further to the player customization options there is a new bonus system in place to help give your vault hunter that extra edge. It is called the “Badass Ranking system” and it is most relatable to the multiplayer challenges found in the Call of Duty series. By tracking campaign stats such as number of chests looted, number of skags killed, or number of head shots achieved with a sniper rifle you are rewarded with higher Badass rankings resulting in choosing a small increase in a particular trait of your vault hunter. Between the constant looting, skill tree upgrades, and the Badass ranking system you are feeling as though you are constantly being rewarded with for your efforts and pushes you to keep playing in order to achieve that next reward. Traveling long distances from between each objective marker can be rather annoying especially since one of the coolest parts of the game which is driving vehicles is really under utilized within the campaign. A huge complaint for us that are used to RPG games such as Skyrim is that you do not have the option to save your game when you desire. Instead you must complete the next checkpoint which are too scarce and far apart for our liking. There is nothing worse than wiping out a compound only to get killed by the boss at the end forcing you to spend an additional 15 or so minutes clearing out the compound for the second time just to get a second chance at revenge at the boss. The campaign is estimated to be around 30 hours long, but it is recommended to play multiple times since each time you play with an alternate character it is as if you are playing a significantly different game. Other than the main storyline there is a large number of fun side quests that can be initiated throughout the game rewarding you with additional XP and cash for your efforts. Since there is no multiplayer versus mode you are only able to play cooperatively through campaign missions with up to 3 other players. The game automatically calibrates enemies to be tougher when playing coop so you will have to work as a team to eliminate the opposition and obtain your objectives. Coop in Borderlands 2 is fun and exciting, but the largest downfall is that the loot found within the game is shared among your allies so it becomes a competition between who can scavenge the loot the quickest. Depending on your teammates this can be a miserable experience and we really wished Gearbox would have decided to make the loot independent for each player like it is in Diablo 3. Having said this it is recommended to pick your allies wisely. Borderlands 2 takes the great elements of the first game and improves upon the previously weak components resulting in a heck of a fun RPG shooter. Looting the various hideouts and compounds within the mystical world of Pandora is addictively fun, but become rather repetitive the farther you progress into the game. Anyone who enjoyed the first Borderlands or is curious to try out this RPG should certainly give it a try as chances are you will not be disappointed. 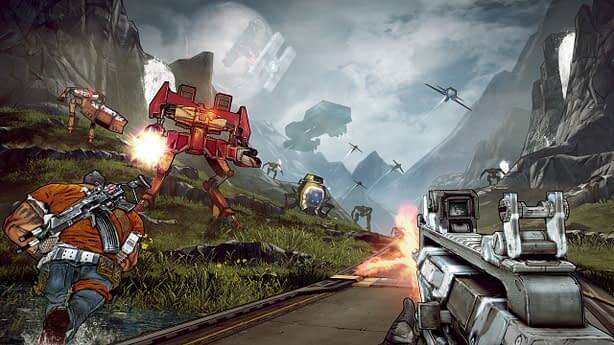 What are others saying about Borderlands 2? Borderlands 2 doesn't reach far beyond its predecessor's scope, but it does do almost everything better. Additions, refinements, and fixes all combine to create an appreciably improved experience, one that fully delivers on the promise of the first game. Borderlands 2 preserves the best parts of the franchise while also making numerous, much needed improvements to areas like narrative and class skill design. I’ve been playing Borderlands 2 all day, every day, for five days – and I’m probably going to play it again when I finish this. It’s not the most consistently brilliant game, but I can’t think of another singleplayer shooter that’s given me more hours of fun.